BREAD AND ROSES, based on the Ken Loach film and inspired by true events. Maya, a young undocumented Mexican woman, crosses the U.S. border and risks it all in her fight for justice. Families are torn apart, backs are stabbed, loyalties are tested, and Maya must ask herself, “How much would you risk for your American dream?” It’s serious subject matter, to be sure, but there is much humanity, humor and light in our show and we’d love you to see it. 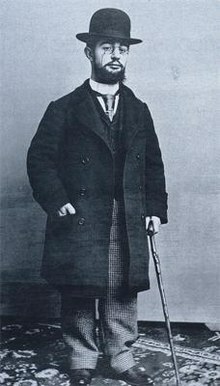 "Lautrec at the St. James" is a new musical about French painter Henri Toulouse Lautrec, during the time he spent at an asylum shortly before his death. This 29-hour reading was the very first performance of this work. In 1929, Federico García Lorca, acclaimed Spanish poet and playwright, travels to New York City to study English at Columbia University. He arrives heartbroken and artistically blocked but soon experiences the wonders of the city and begins to create innovative work. LORCA IN NEW YORK jettisons straightforward history to explore how Lorca’s whimsical, searing and experimental writing guides him to find personal and professional freedom in this American metropolis. LORCA IN NEW YORK is a Denver Center for the Performing Arts Theatre Company commission. Join us for the NYC premiere of the show that Stephen Schwartz called, “One of the cleverest, funniest, and most endearing musicals I’ve seen in a long time.” Feinstein’s/54 Below presents in concert the new musical Bubble Boy! Bubble Boy, based on the 2001 cult comedy starring Jake Gyllenhaal, is by Cinco Paul and Ken Daurio, the writing team behind Despicable Me, Despicable Me 2, The Lorax, and The Secret Life of Pets. Come see an all-star Broadway cast perform all the songs from this exciting new show. Bubble Boy tells the story of Jimmy Livingston, born without immunities and confined inside a plastic bubble room. When the love of his life leaves town to get married, Jimmy travels cross-country in a homemade bubble suit in order to stop the wedding and finally tell her how he feels. Along the laugh-filled journey he deals with a crazy cult, a biker gang, a dead cow, and a controlling mother who will stop at nothing to get him back in the bubble. What would you sacrifice for your American dream? Maya is a young woman who illegally crosses the U.S.
border from Mexico to work with her sister Rosa cleaning Office Building 646 in downtown LA. Witnessing firsthand the corruption and abusive working conditions, Maya joins Sam from Justice for Janitors in an attempt to unionize the workers. Alliances are formed, backs are stabbed, and the sisters’ relationship is brought to the brink. Inspired by true events and based on the film by Paul Laverty and Ken Loach, BREAD AND ROSES asks: must the American dream come at the cost of human dignity? Man of La Mancha at the Shakespeare, D.C.
Martín played the Padre in Man of La Mancha at the Shakespeare Theatre Company in Washington D.C. starring Australian baritone Anthony Warlow. The production received glowing reviews and played to capacity audiences for the run of the show. Martín was nominated for Best Actor in a Play by Broadwayworld for his portrayal of Luís Trescante in Olives and Blood by Michael Bradford at The Connecticut Repertory Theater.